Baby It’s Cold Outside – Only Zoey Deschanel can make a date rapey song so damn loveable. You’re a Mean One Mr. Grinch – This song doesn’t stink stank stunk… also look up the rock version. You won’t be disappointed. Rocking Around the Christmas Tree – I fully intend to rock around a Christmas tree or two so any song encouraging my reckless behavior is tops in my book. 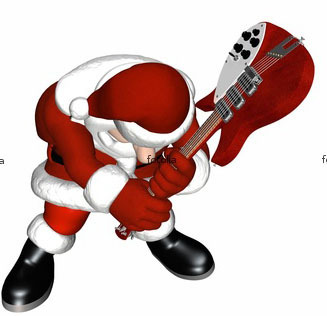 Jingle Bell Rock – Sometimes you got to give Christmas a little edge amidst all the holly jolly. 12 Pains of Christmas – Fine! You’re so good at lists.. You STRING UP THE LIST. I Want a Hippopotamus for Christmas – Hippopotamusses love me too! Christmas Is All Around Us – Kids, don’t buy drugs – become a rock star and get them for free like me. Now that’s a lesson for the season. Carol of the Bells – Don’t even talk to me unless the Trans Siberian Orchestra is rocking it out. Oh Holy Night Don’t pretend you don’t belt this our every time you hear it. Also if you are 30 or younger I bet you hear Cartman’s version in your head. Feliz Navidad – C’mon Baxter you know I don’t speak Spanish! Rudolph the Red Nosed Reindeer – an endearing tale of overcoming your critics and maximizing your talent to save the day. A true American marketing story… I might be a little jaded. Frosty The Snowman – this song is pure nonsense… but it gets bonus points for merriment and ease of remembering. Deck the Halls – Falalalalalalalalala no song has done more with less. Except for maybe Dropkick’s Shipping Up To Boston. White Christmas – First, I am not dreaming of such things because that means I’ve got to shovel. Second… isn’t this song a tad racist? Christmas Shoes – If I wanted to be caught off guard and burst into tears in the car I’d put some more Mariah on. 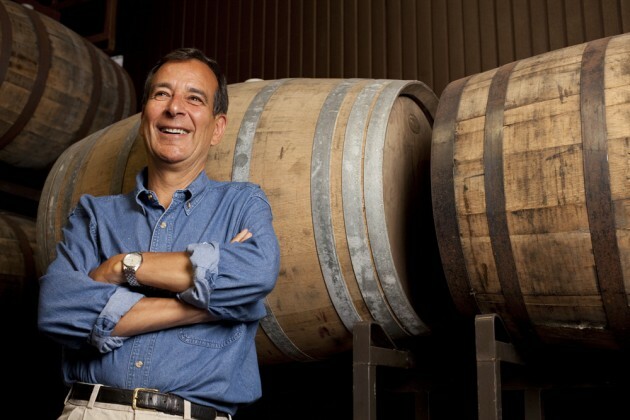 Jim Koch (Founder of Sam Adams) puts his beer where his mouth is… well I guess we all do. But Jim is laying it on the line in support of the Boston Red Sox for the World Series. Jim has made a craft beer wager with Dan Kopman of Shafly in St. Louis for food, beer and pride. Ladies and Gentlemen, this is where the beer meets the bears! The wager: Samuel Adams brewer and founder Jim Koch is so confident that his hometown team, the Boston Red Sox, will win the World Series, that he is betting two cases of his flagship Boston Lager and a lobster dinner against Dan Kopman’s Schlafly Pale Ale and a dinner from Pappy’s BBQ ribs. Additionally, each brewer is inviting the competitor to brew a beer of their choice in their respective breweries in Boston and St. Louis – all expenses paid. 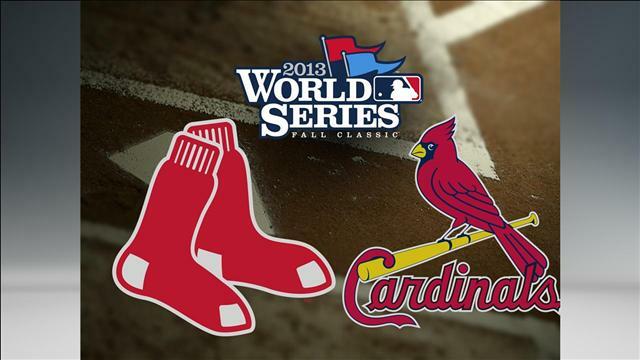 So let’s do this Red Sox – For the love of the game; for the love of the beer! I’m always amazed by unique marketing that hits me in unexpected ways. Below is the exact order confirmation email I received from RoadID – a small company specializing in runner safety. I have some fantastic news! No…you didn’t win the lottery, but your Road ID order was shipped today (9/23/2013). Per your request, it was shipped via USPS Priority Mail. We are not only super excited to have you as a customer, we are amped that you’re in the great state of Massachusetts. Here’s a fun fact for you: the Boston University Bridge on Commonwealth Avenue in Boston is the only place in the world where you can sail a boat under a train which is traveling under a car which is driving under an airplane. Confusing, I know, but equally awesome. We hope you had a great experience shopping with us. We are thrilled to have you as a customer and hope we can count on you to spread the word about the importance of wearing ID. So, if you need anything from us, or just want to say “what’s up,” feel free to reply to this email, give us a call, write a letter, send a telegram, or whip up a smoke signal. Be safe out there, and let me know if you have any questions. What I like most about this is that it takes such a mundane automated process and uses it as an opportunity to further strengthen the consumer relationship. I’ve yet to receive a single package from them and I already have an affinity for the company and brand. 1. IF something goes wrong I’m going to cut them more slack. This email is humanizing and likable so if the order is late or there is a mistake I’m more likely to approach it as a person instead of a faceless company. 2. Increase brand loyalty for free. As I said above, I already like these guys. I’m clearly sitting here writing about them, and I’m far more likely to share their story with friends (like you). What consumer touch points could I take better advantage of going forward? What are some unique but scalable ways to better interact with customers overall? The idea of the 4 Hour Work Week, Results Only Work Environments ROWE), or the 25 Hour Work Week (in this particular case) are all manifestations of the same idea that have fascinated me recently. I’m 100% behind this style of management and can’t wait to see the movement grow. As someone who has only worked in traditional environments I find myself yearning for results driven work and guilty of the pit falls of traditional environments. Here’s a few especially notable clips from this article. It’s oh so tempting – nay easy and well deserved – to rip rebranding efforts. Gap? Tropicana? However, every now and then someone does it right, and I have to admit that American Airlines nailed it this time. I remember clicking the headline not long ago already frothing for the chance to dig my claws into another member of the maligned airline industry for its disconnected ways and outdated philosophies. But when I opened the project I took pause and just admired. So many layers; so many thoughts; nothing negative of note. So with that I present to you The Good The Bad and The Attractive. Strategy – Launching the rebrand in conjunction with a hefty plane purchase is a double down bet and won big. Welcome to 2013 – The original logo is from 1968 and anyone who has flown or interacted with AA recently probably feels like they took a trip back. The new logo, imagery, planes, communication and website usher them into 2013. 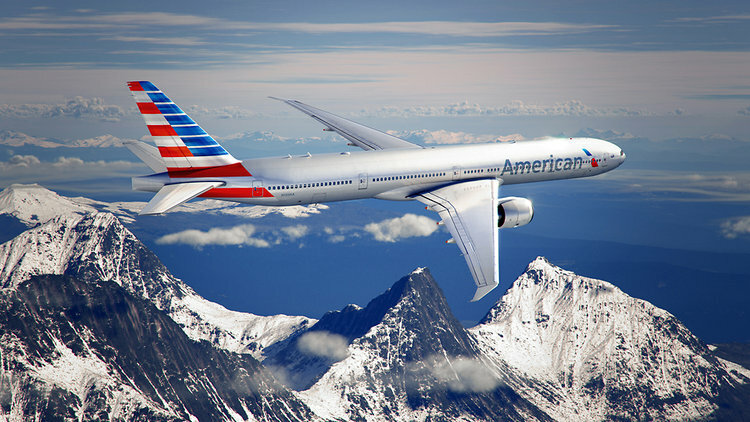 Comprehensive – AA did a solid job launching this across most consumer touch points very quickly (for an airline) and I assume only better things to come. Coach – If there is one thing I can easily criticize it’s a swing and a miss at redesigning coach. It doesn’t match the rebrand, and still sits ages behind the likes of Virgin and JetBlue. But this is a swing and miss on a pitch, not the final out. Logo – Let’s talk about this logo. WOW. So visually impactful with so little. Your brain is forced to fill in the rest of the iconic A. The shape itself is formed from a tilted tail wing while also drawing the imagery of an eagle through it. The color scheme keeps the obvious American feel while doing it in a way that reflects today, and the whole thing screams motion forward. Highest praise to @FutureBrand for amazing work in a very critical and subjective field. The Plane The Plane – [Couldn’t help it] Seriously they are a thing of American Beauty. I think the abstract American Flag design on the tail is incredibly modern, powerful and again screams motion forward. Some of us have very demanding careers that take up a lot of our free time, but you can’t show up to the party rusty on Friday. 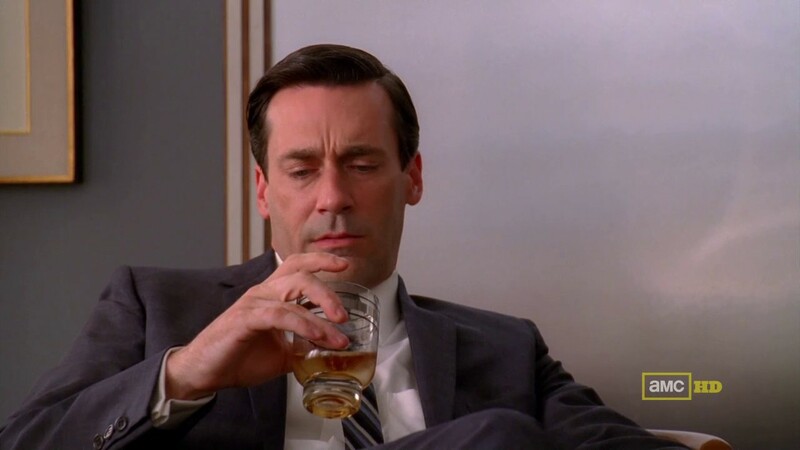 Try these 4 steps to perfecting your drinking game skills… at work. CHUG – Sort of. Every drinking game requires… DRINKING… some need speed as well. Every time you go for water chug the first cup down as fast as possible then refill to sip. EXPERT: Try chugging multiple in a row. Change? – Buy your morning cup of coffee with cash. You will most likely get a pocket full of change. Upon arriving at your desk ‘quarters’ bounce them into nearest mug/water cup. You’ll be crushing it at Quarters and Miley Ball before you know it. EXPERT: Chug remaining venti iced coffee and try sinking quarters into that monolith. Flip Out – From now on bring a water cup to every meeting. Make sure to finish the water before the end of the meeting. While everyone is wrapping up, line the cup on the edge of the table and flip it over. Looking weird in front of coworkers is added incentive to hit on the first shot. This is not recommended on client meetings… unless you nail the pitch and can hit the first shot… in which case you will double the sale. EXPERT: Volunteer to clean up and walk around flipping all the cups. Now you are ready to take on the real world… sort of. Happy Training. Redbox and Verizon are joining forces in a JV effort to add streaming video to their entertainment arsenal, but does that JV stand for Joint Venture or Junior Varsity in this case? Rightfully so, they are being coy regarding the details of the service so I only have preliminary information and foresight to go on so stick with me here and grab some good info from this FastCompany post to educate yourself. The service seems like a nice blend of what Blockbuster tried to do and what Netflix has continually screwed up, but ultimately something consumers could get down with. Blockbuster currently offers in store exchanges (if you can find a store) of their mail in videos for faster exchanges and constant movies. However, they never synced their kiosks and a streaming service which would have been a powerful move. Netflix let power go to their head and tried to blow everything up while never having a physical presence. 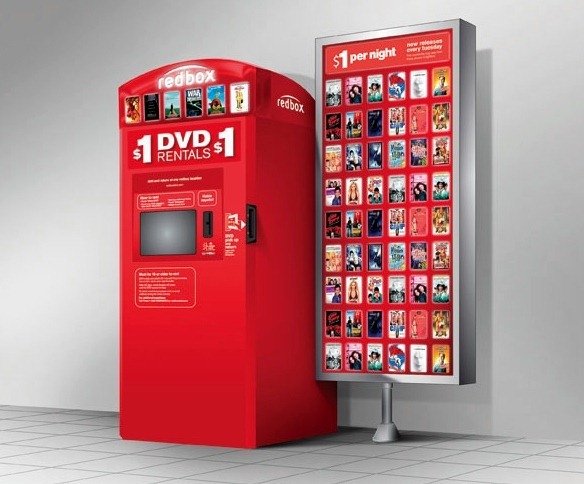 RedBox now sits with a strong network of kiosks for impulse rents and needs to make the leap to digital. A partnership with Verizon is smart because it will allow each to focus on a core competency and execute properly. I think they are putting more stock in the RedBox brand than is really warranted, but that’s a minor contention. What has me really on the fence at this point is that it is a subscription service so I worry that it will be too little too late. Would you switch from whatever service you have to have Kiosk access? Would you add their fee to have it? I would guess if you have Netflix you would still throw down the occasional couple of bucks for a disk out of the kiosk – especially since content across all of these options is insanely fragmented. I’m not sure this is enough to get people to add/switch. Here’s a few suggestions for them that I think would help push it over the top. CONTENT CONTENT CONTENT – Did I mention content? Seriously they need to maximize the offering and own the competition in this area. Hulu free service is getting worse by the second; I’m not even sure Netflix has movies; HBO is too limited… Get on it! Innovate distribution – How about cheap airport kiosk that you can rent just for the flight? Or temp download from one airport wifi and dump it 12 hours later? Lots of options, but it has to offer consumers content where/when they want it. Nail Pricing – Easier said than done I know. This is key in pushing people to add or switch. If you offer a very similar service to the alternatives then you need to be cheaper. Even if you master my first two suggestions, you still need to be on par with their pricing. I’d also keep non-subscription options open. I’m sure they will do this at Kiosks, but will there be a streaming pay-per-view option? There’s a lot of questions still out there, but it’s such an interesting business to explore that I couldn’t help it. Hope you enjoyed! Comments?? ?